Happy V-Day, Bro.. On the I 사랑 당신 Man official website they have Valentines 일 e-cards, a little late but here they are! 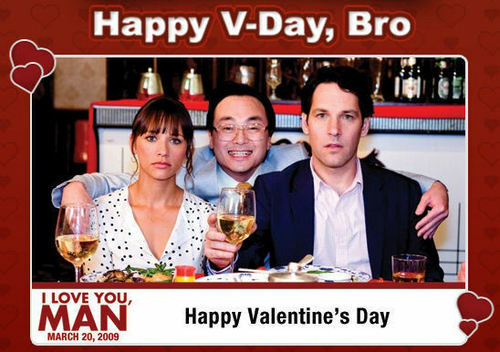 :D. Wallpaper and background images in the I 사랑 You, Man club tagged: i love you man movie image picture e-card valentines day card 2009. This I 사랑 You, Man photo might contain 기호, 포스터, 텍스트, 칠판, 사인, 서명, 신사복, and 비즈니스 정장.